An artists with ties to Philadelphia and New York, Rafael Ferrer is currently the subject of an exhibition at El Museo. Show closes August 22, 2010. 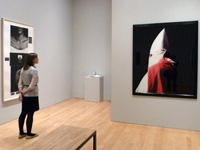 Curated by Deborah Cullen, Director of Curatorial Programs, El Museo del Barrio. 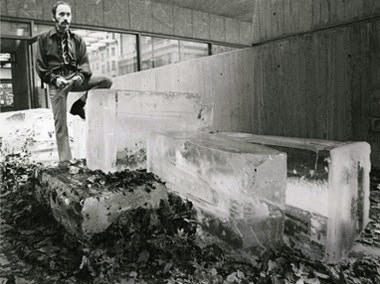 In the late 1960s, Puerto Rican-born Rafael Ferrer became internationally renowned for his guerilla art actions in New York and Philadelphia. In the 1970s, he was known for assemblage sculptures, kayaks, and tents. Since the 1980s Ferrer’s intensely colored paintings, prints, drawings and public sculptures have reflected his intelligence, sense of humor, and Caribbean perspective. The exhibition is part of El Museo’s FOCOS series, highlighting the achievements of mature, under recognized artists. Here is a video from Penn State University with an excellent profile of the artist talking about his work. A review by Roberta Smith in the NYTimes.